If you like to spend time under the sun, you really should think about protecting yourself. Sunblock is a good idea, but staying cool means having some shade. Patio umbrellas are a great way to enjoy the summer day without baking under the hot sun. But patio umbrellas and stands can get quite expensive. If you have a big back yard, then having a bunch of umbrellas may not be feasible either. So consider the Coolaroo Ready-to-Hang Shade Sail from Costco. It is stylish, provides adequate coverage and is cost-effective. Combine several shade sails together for more complete coverage of your patio. It comes with pre-attached ropes so setting up is quick and easy as long as you have the anchor points. 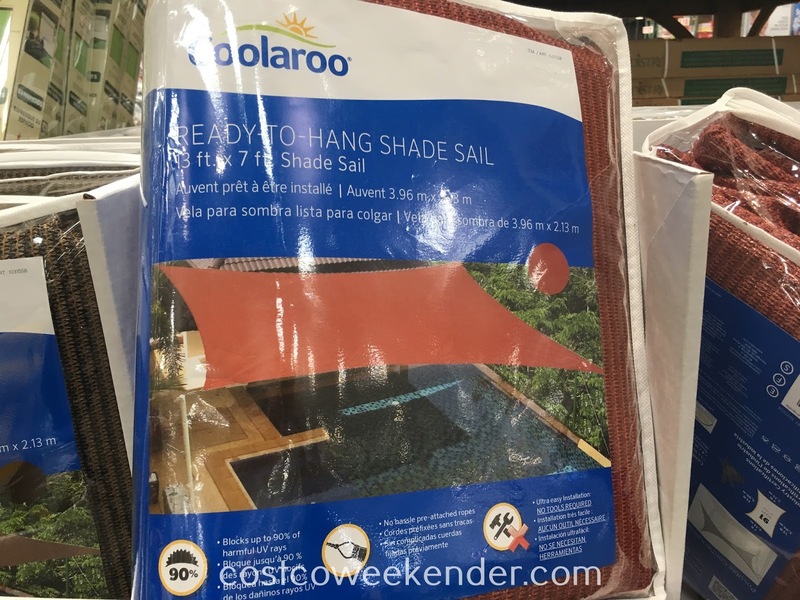 This shade sail is ready to hang with its pre-attached ropes. 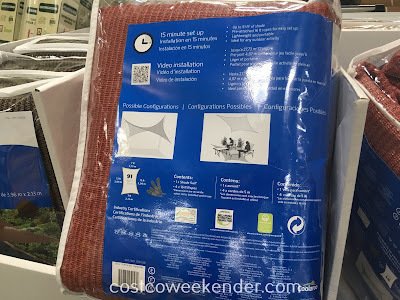 It is easy to install, is light-weight, and is portable so you can even take it with you when going camping. When not in use, you can easily fold it up and store it away, unlike an umbrella which can still take up a lot of space even when folded. 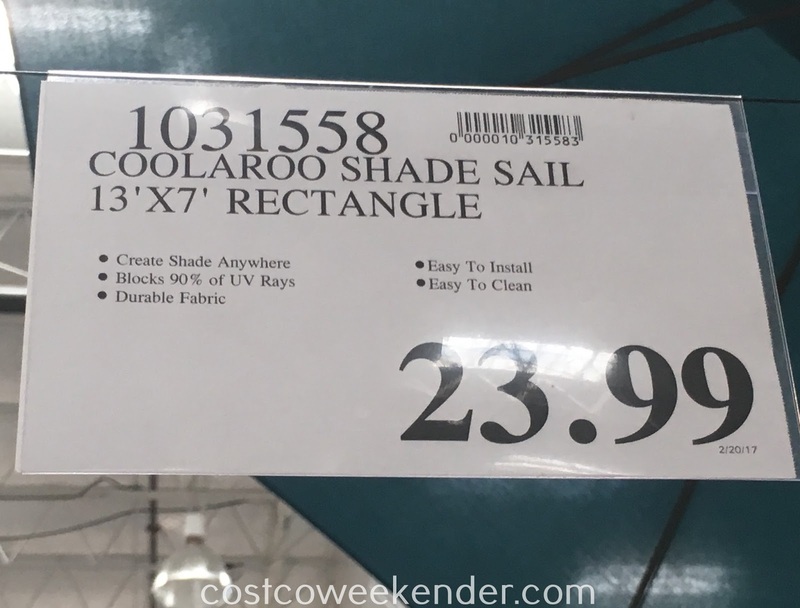 So stay cool this summer under the Coolaroo Ready-to-Hang Shade Sail. Dimensions: 13 ft. x 7 ft.